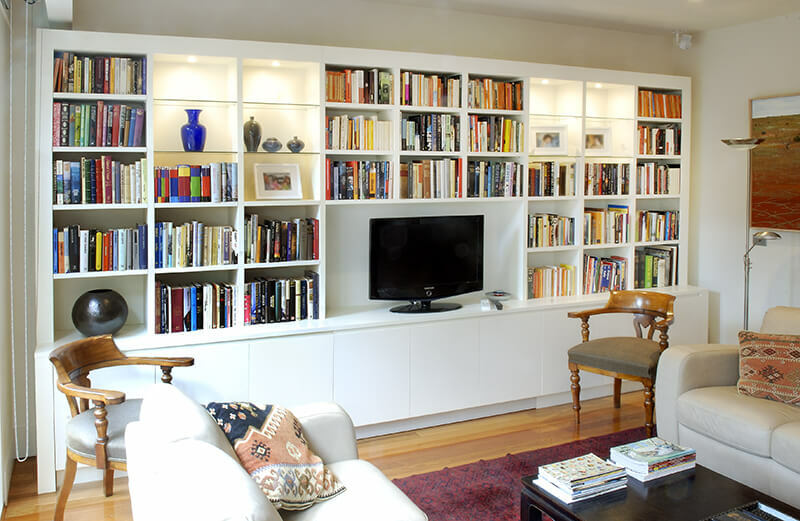 Contemporary wall unit with eight glass display shelves and down lights. Nine cupboards with cable and ventilation management for AV equipment. Adjustable shelves throughout.